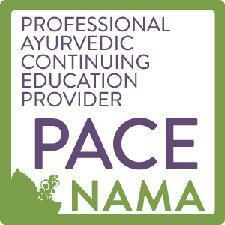 Ayurvedic Medical Association--and I said so. chanting and meditating and all that stuff! Click here to see an article about me from Crain's Chicago Business, 12/09. Click here to see me as featured practitioner in NAMA's 11/12 Newsletter. appetite for chanting and meditation increased. 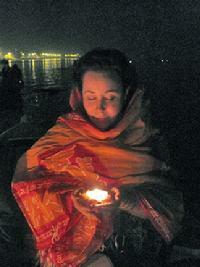 chanted prayers in Sanskrit before and after every class! I loved it. Americans have heard of and for which there is no licensure or certification in the U.S.
may sound extreme to some. To me, it made sense. they're familiar and they provide some measure of comfort. Change requires courage. to...it would change the world) unless it's something you desire! In addition to seeing ayurvedic clients, I am now a student at Loyola University's Institute for Pastoral Studies, pursuing a Master's degree in Pastoral Counseling.